Maretron’s Direct Current Monitor (DCM100) provides information about the DC electrical system and in this example the DCM100 is used to monitor the house battery bank. Vital battery information including voltage, current, state of charge, and battery temperature are provided. 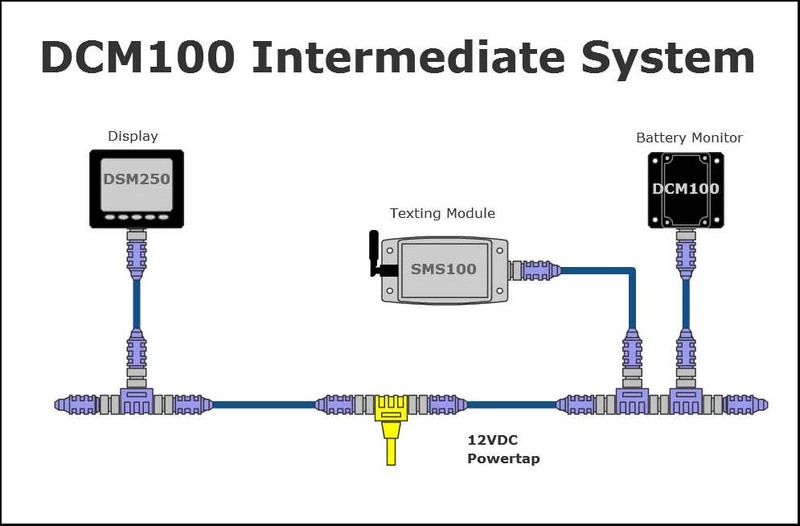 If the battery voltage drops to an unacceptable level, the display (DSM250) can detect the problem and instruct the text module (SMS100) to send a text message. 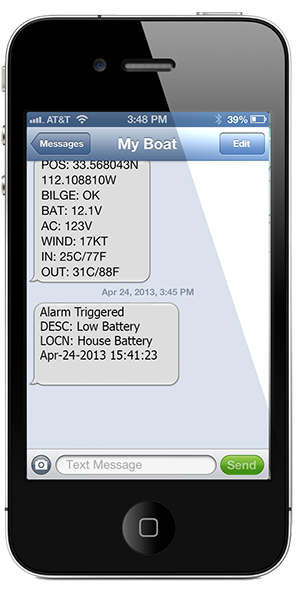 The following screenshots (click to enlarge) are examples of Text Messages you can receive when monitoring these values.